Apr05 Comments Off on A Special Gift for You! 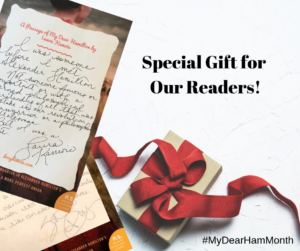 As part of #MyDearHamMonth, we have a special gift to you, available for only this month. You can all get our autographs by downloading a printable/framable passage from the book, one handwritten and signed by Stephanie, one written and signed by Laura, available here. We hope you enjoy! We had so much fun trying to narrow down our favorite passages to just one each! ← Month of My Dear Hamilton Celebrations!